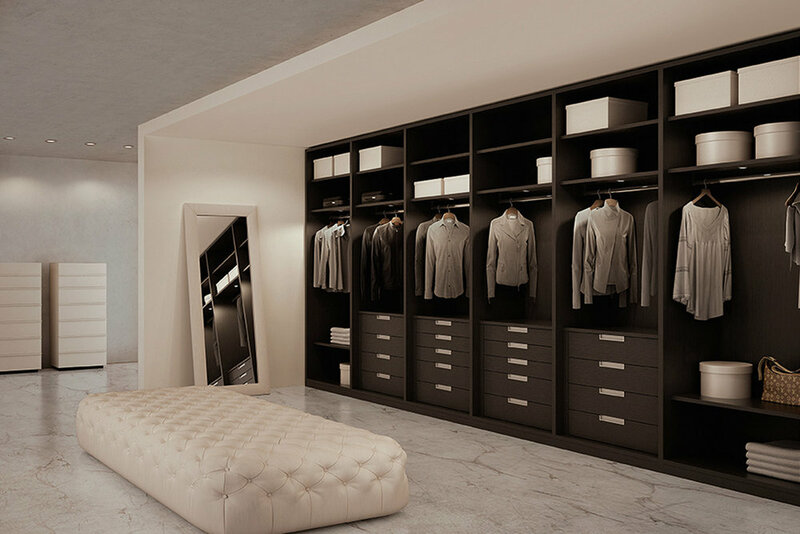 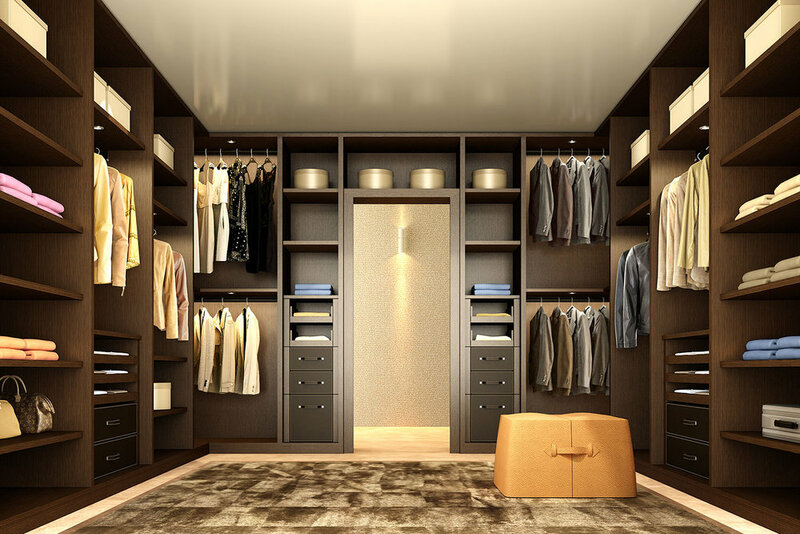 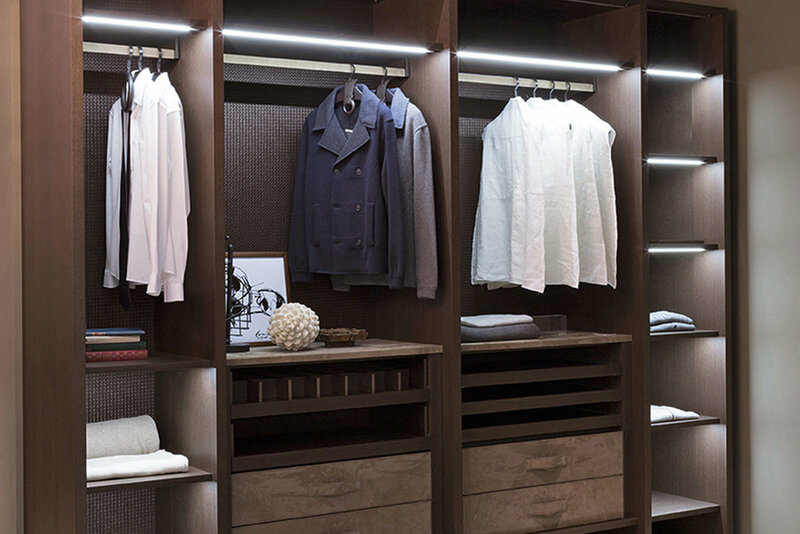 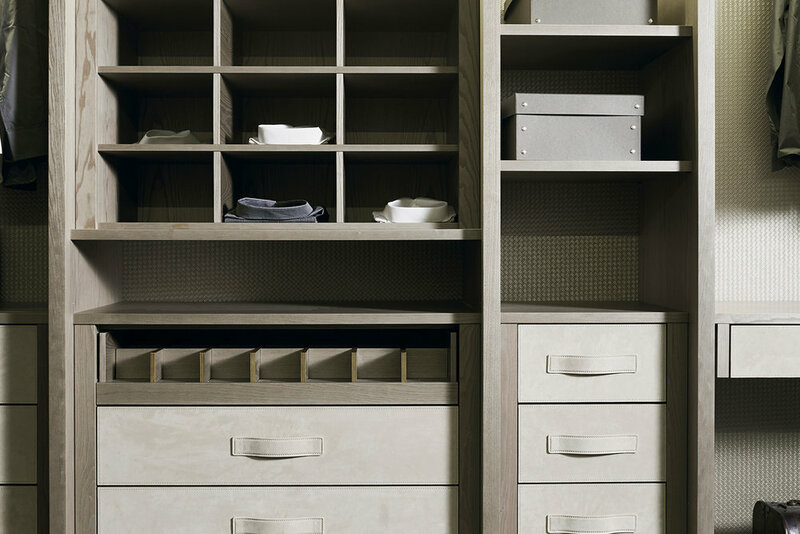 Walk-in closet which express the individuality, the exclusivity and the uniqueness of the personal taste of each one. 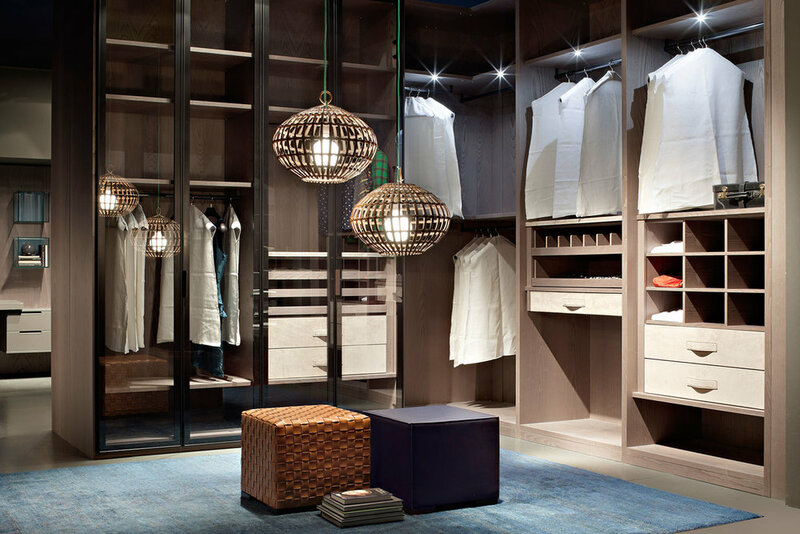 They are made ad hoc for every setting, for every client and for the most different demands, each walk-in closet is conceived, planned and manufactured as the client has always dreamt of it. 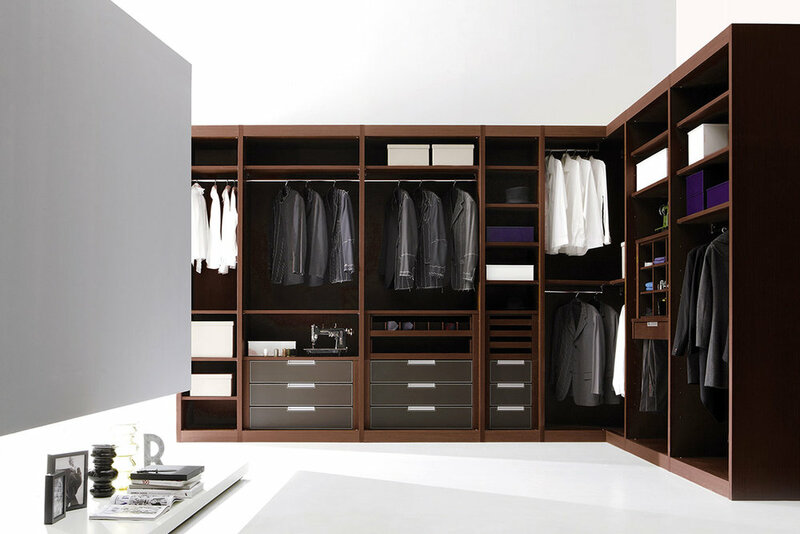 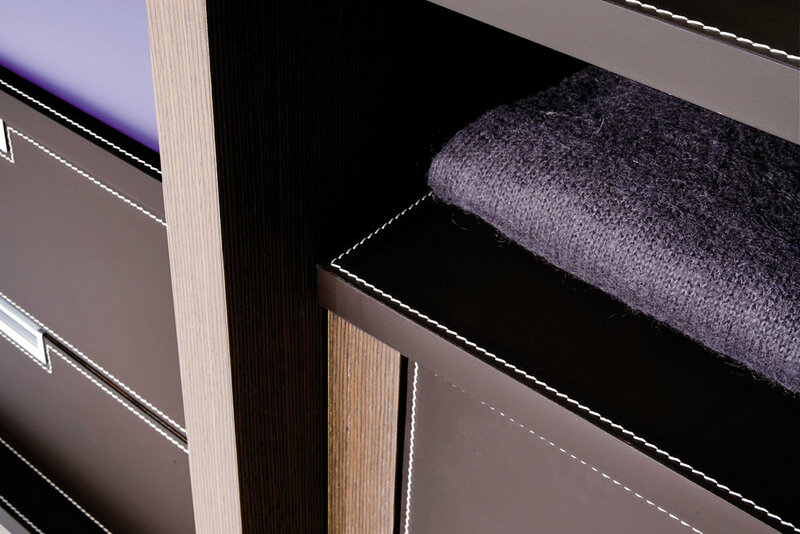 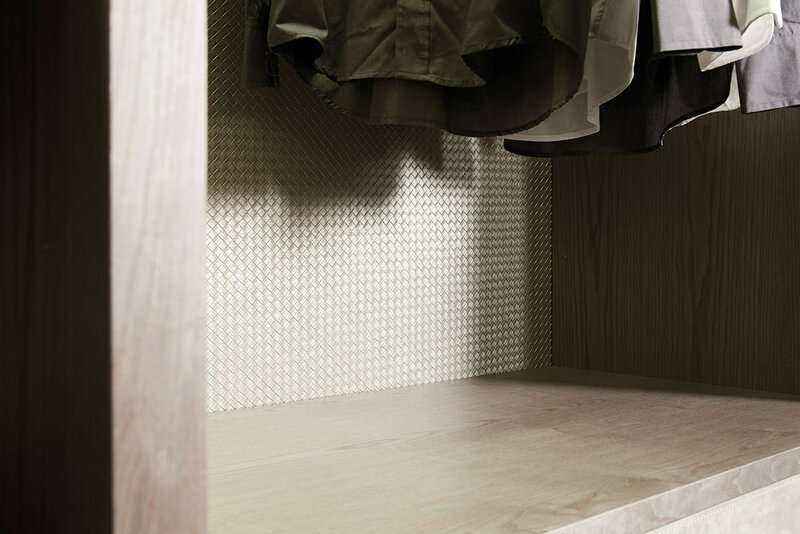 They are cut and produced bespoke like a tailor-made dress and therefore they adapt themselves to every space. 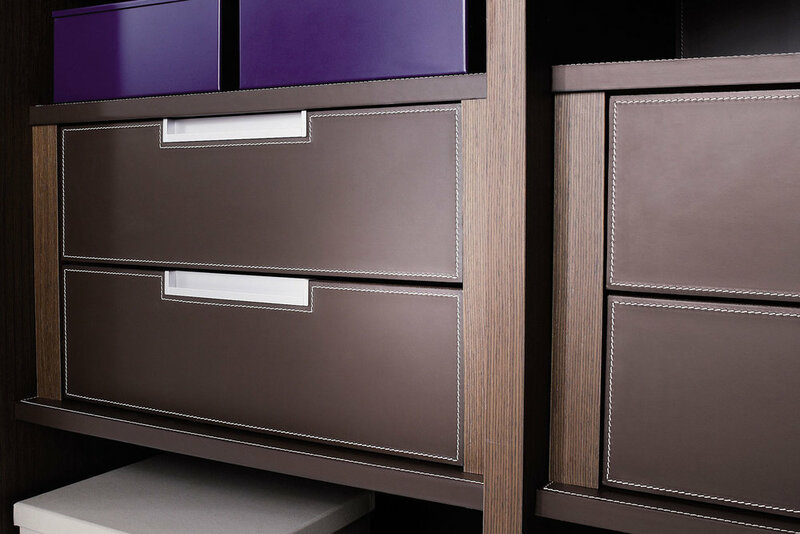 Mat lacquered in our selected colours, dark walnut, wengè, black walnut, grey oak, smoked oak, natural oak, ash stained beige/grey, eucalyptus.